In 2011, when she was in her late fifties, beloved author and journalist Joyce Maynard met the first true partner she had ever known. Jim wore a rakish hat over a good head of hair; he asked real questions and gave real answers; he loved to see Joyce shine, both in and out of the spotlight; and he didn't mind the mess she made in the kitchen. He was not the husband Joyce imagined, but he quickly became the partner she had always dreamed of. Before they met, both had believed they were done with marriage, and even after they married, Joyce resolved that no one could alter her course of determined independence. Then, just after their one-year wedding anniversary, her new husband was diagnosed with pancreatic cancer. During the nineteen months that followed, as they battled his illness together, she discovered for the first time what it really meant to be a couple-to be a true partner and to have one. This is their story. 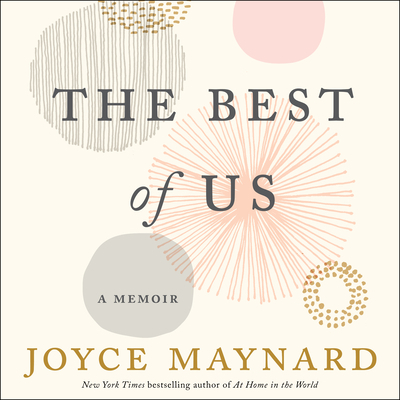 Charting the course through their whirlwind romance, a marriage cut short by tragedy, and Joyce's return to singleness on new terms, The Best of Us is a heart-wrenching, ultimately life-affirming reflection on coming to understand true love through the experience of great loss.